Seeking answers to those questions led Siegert to where he is today, the winner of a $1 million prize for mapping Indonesia's peat, boggy lands composed of decaying organic matter. 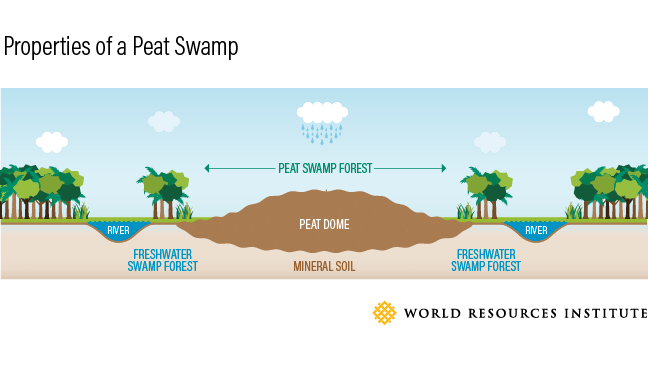 It's just the latest achievement in a long career exploring peat, an often overlooked yet vitally important ecosystem in the global battle to fight climate change. "Peatlands at that time were basically uninhabited – strange ecosystems with acidic water and many endemic plants," Siegert recalled. "We wanted to find out more about the ecology of this ecosystem and how it was formed." Siegert and researchers began collecting field data in collaboration with Indonesian and European universities, resulting in more than 10 years of concerted research on the specific properties of peat swamps and why exactly they burn. "We started to drill holes in peat swamps to see how thick the layer was and did analysis of the biomass materials to get an understanding of how exactly it was formed," Siegert explained. Indonesia's record-breaking 2015 fire season demonstrated how important this research continues to be today. Half of the fires burned on peatland, igniting a carbon bomb that catapulted the country from the world's sixth-largest emitter to its fourth-largest. 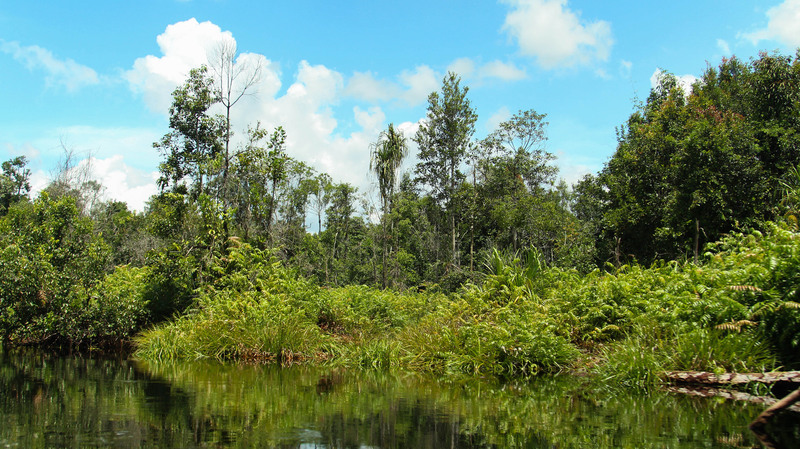 Global pressure for Indonesia to protect and restore its peatlands increased. Without a precise understanding of the location, type, extent and depth of Indonesia's peat, though, this task would be nearly impossible. In response, the Indonesian Geospatial Information Agency (BIG) opened the Indonesian Peat Prize contest. 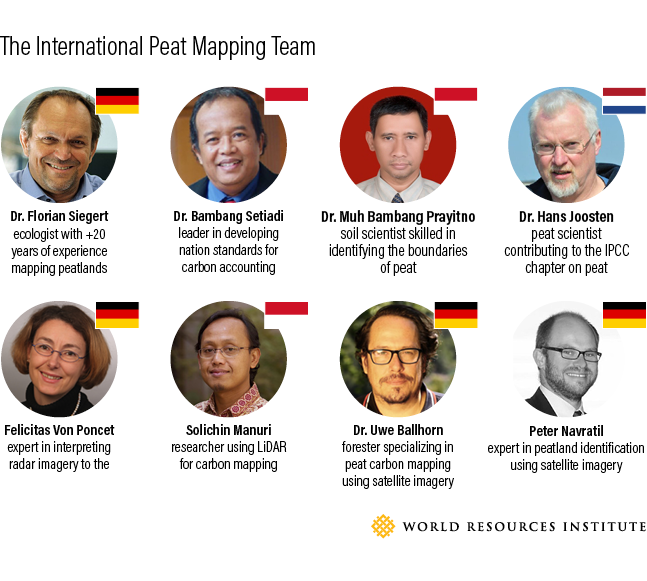 The team that came up with the best way to map peat would be awarded a $1 million prize—and their contribution would form the basis for Indonesia's national action on peat. When Siegert heard about the Peat Prize, he began hand-selecting a team of partners he'd worked with over the last 15 years. The team's diverse experts would have to address both parts of mapping peatlands: distribution and topography. 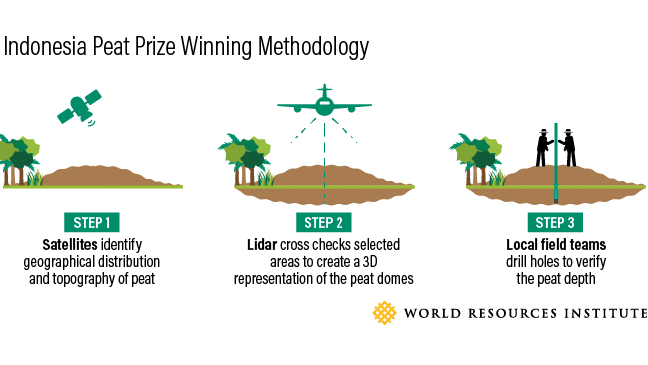 This combination proved to be the most accurate, efficient and affordable submission in the Indonesian Peat Prize content, and the International Peat Mapping team won the $1 million prize. The Indonesian government will now use the team's methodology—as well as select elements of other submissions, including a helicopter-based frame for measuring peat thickness with electromagnetic waves—as the standard for mapping the entire country's peatlands. After paying back the investment made by Remote Sensing Solutions, his 15-person company that funded the initiative, Siegert plans to apply the winnings to do research on peat restoration. He also intends to enhance academic cooperation among universities to develop a "peat thesis" program that deals specifically with restoration of peat. Finally, Siegert says he'll also work to expand this effort beyond Indonesia to explore the completely unknown—and luckily, undisturbed—peatlands in Africa.